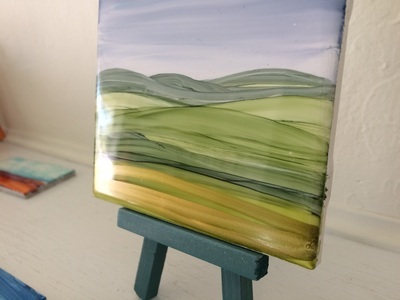 ​Support small business, art and the community! 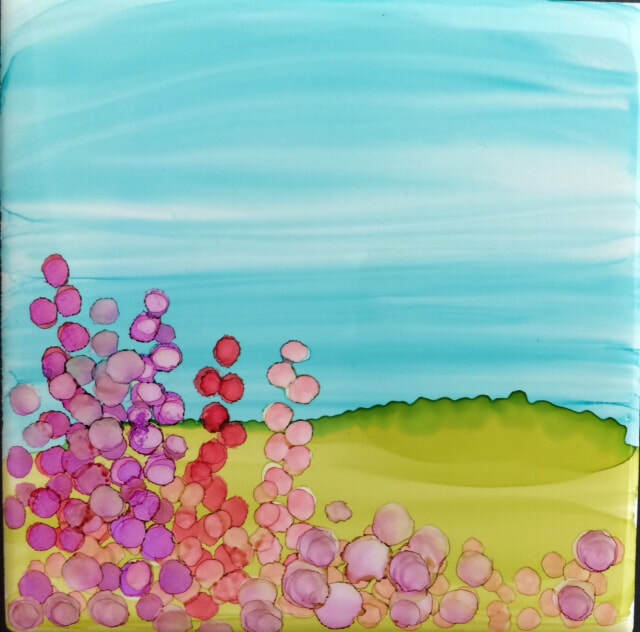 These gems are the perfect gift! 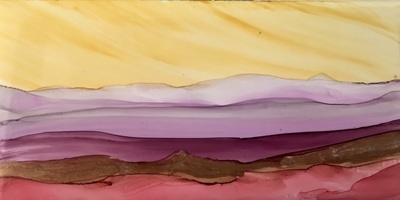 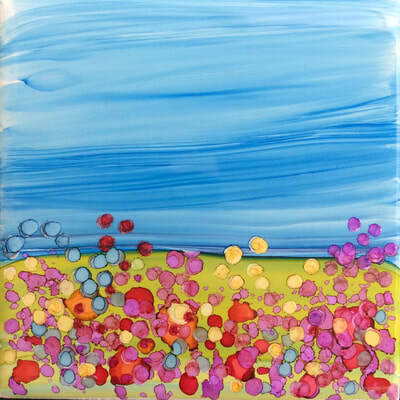 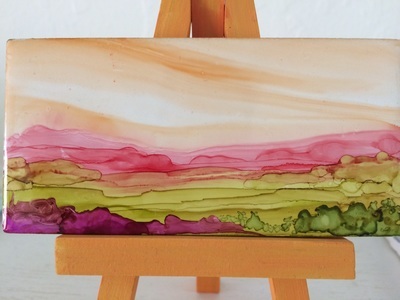 Original landscapes done in alcohol ink on ceramic evoke a dreamlike vista. Small enough to brighten up a desk, kitchen counter or powder room, but with a big impact! Coordinating easel is included.